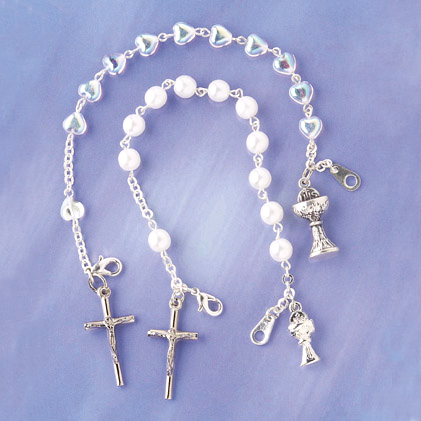 First Communion rosary bracelet with chalice charm. Gift boxed. All items are F.O.B. factory. Prices are subject to revision without notice, please contact us to confirm current price. (922/CR) Heart shaped crystal Arurora Borealis beads.